[dropcap2]M[/dropcap2]y first dance influentials comes from old VHS tapes which friend of mine brought to my hometown in South Eastern Poland area. From the late 90’s I’ve been following tenths of professional Street Dance events worldwide. From observer, to be a dancer and recently also videographer/journalist. My experience was always the same: looking for the perfect vibe doesn’t matter I was there physically or just watching on the tape,dvd and finally live stream on the Internet. I’m not going to compare or complain about quality of the events back in the days and present days. I just wanted to share some thoughts inspired by recent event called Silverback Open Championships made under UDEF (Urban Dance & Education Foundation) commission. Silverback Champs took place in a large hall and I was looking for some common denominators to old school events. Large halls are usually not a Jam-Style places because of unused space causing echo, delay and emptiness effect. I was expecting main stage for competitors which usually separates dancers from the crowd – in my opinion this creates a gap of energy’s flow and lowers vibrational exchange. Don’t get me wrong: big stage events are ok but this is not all about in Hip Hop culture where we’re looking for connections rather than invisible walls between artists and fans. 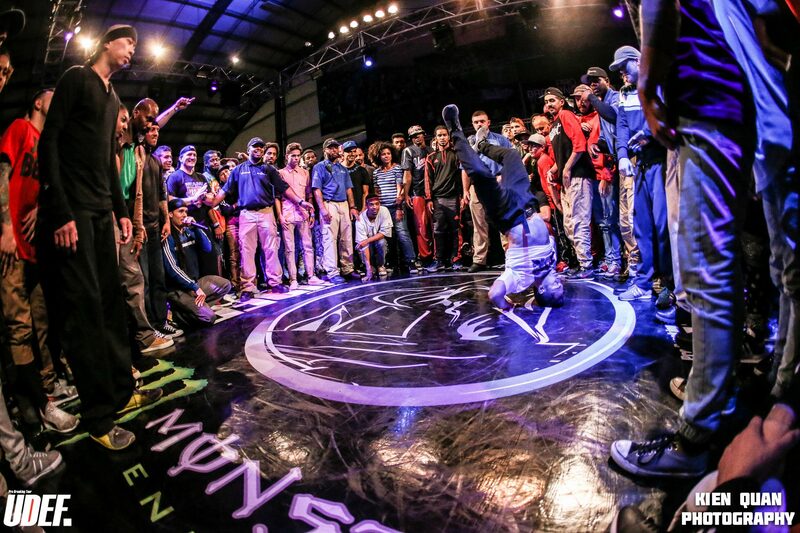 At Silverback Open Championships there was no stage and a whole event took place in a cypher where everyone (during battle, or in a break time) could enter and express themselves. Hosts knew what to do! Again big stage events are essential in terms of business for Hip Ho culture growth. The thing is most of them (not all) create empty space between dancers and crowd. So how audience can see what is going on the dance floor? Big screen above the stage? Naah. So this is the place where hosts show their skills in a leadership role by creating a vibe using right words flowing throughout microphone. At Silverback Open we can hear two extraordinary hosts: Nemesis and Ivan. These two gentlemen are not only a living legends of the Hip Hop movement worldwide but also showed their charisma during the event. They compressed the empty space in a hall by reacting loud and clear on every single original move done by dancers that night. This was very motivating and helped audience to interact with skills on the floor. Just watch THIS short clip and see how hosts reacts on a particular moves on the dance floor. A lot of European hosts should learn from them. Being hosts on events like this or any other dance events is not only reading the list of the sponsors and names of the crews printed on the sheets. It’s all about energy which is in hand of hosts – they can really control the crowd! I’ll laugh very loud! As multiple psychological studies shows money is not the best incentive in human life. There are many more beneficial elements. But in this case money got even more value than only a piece of paper required for purchasing goods. So Silverback Open Champs threw some new flavor in to Hip Hop community, especially in big stage events. This event remind me that or culture is not lost but is getting bigger every year – not only in terms of budgets flowing through sponsors, dancers and promoter. It’s about getting more conscious as a society. We can communicate faster than ever before, we can invite guests from around the globe just by simple clicking or video chatting with each other, we can have more funds which is great to develop our culture. This event showed me one more thing: that I need to do some throwback and digg into my old VHS tapes to watch some back in the days events, just to see the rawness and greatness of that times. I hope recap of this event push You to watch a full event which is online and maybe inspire You to participate in cultural events. I got inspired, did You? 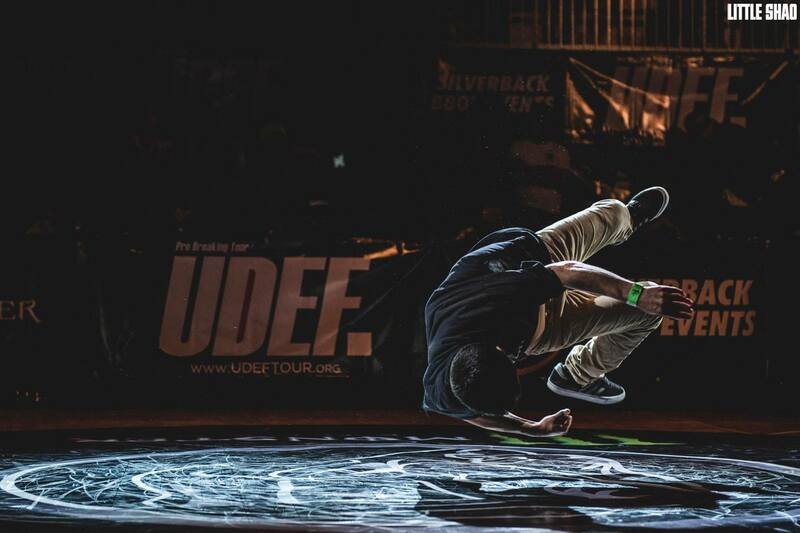 Tagged bboy, bboy event, breakdance, breaking, champs, energy monster drink, open, pro breaking tour, silverback, silverback open, udef.